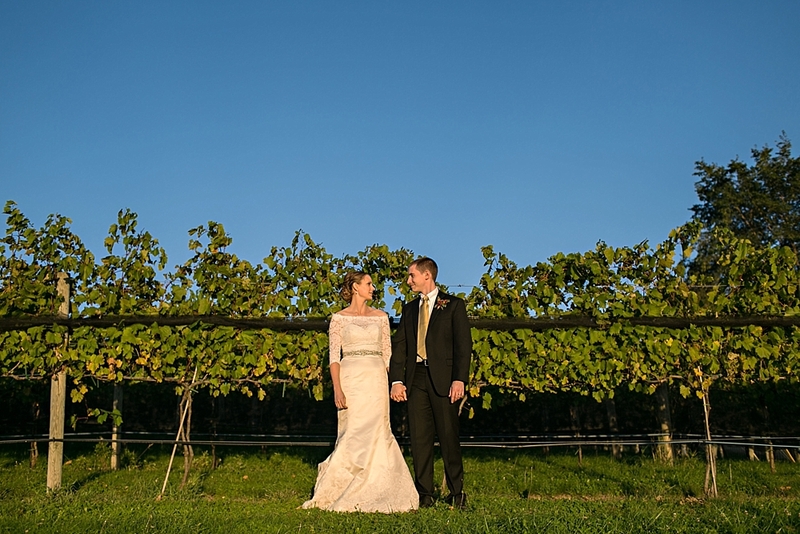 Brian & Lara's rustic countryside wedding at the Chankaska Winery was lovely and love-filled! 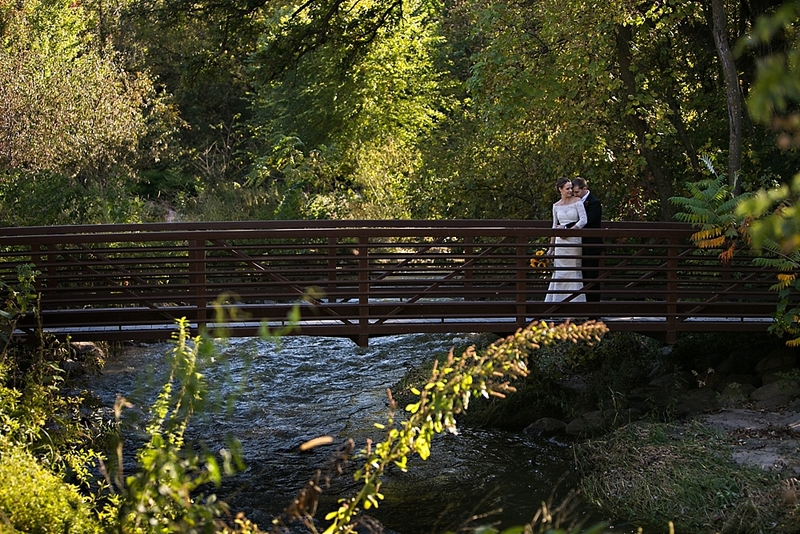 As for Fall Weddings, we couldn't have asked for better - the weather was a dream come true! 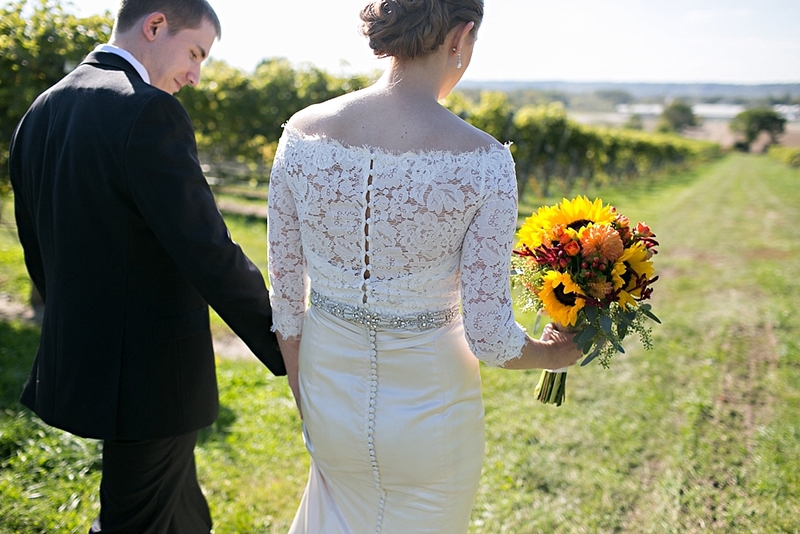 The design for the day was inspired by the natural beauty of the winery -subtle rustic details, paired with a fall color scheme. 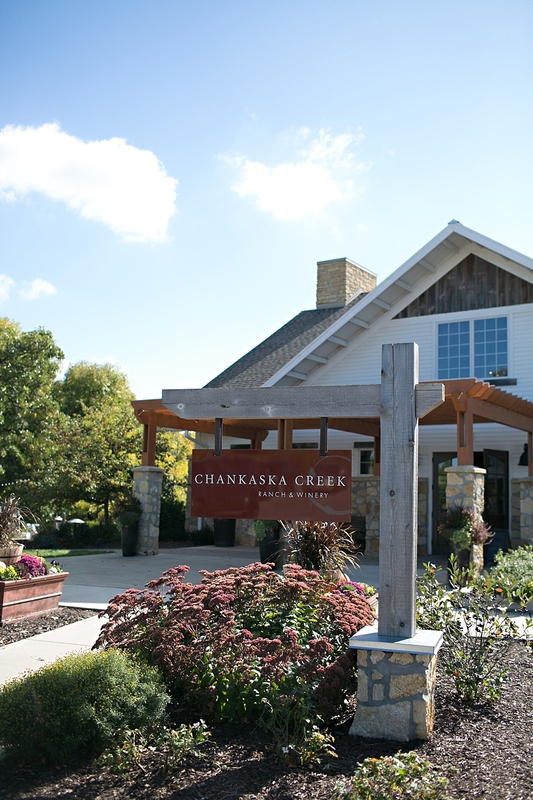 Chankaska's landscape is so beautiful already; it doesn't take much to dress it up! 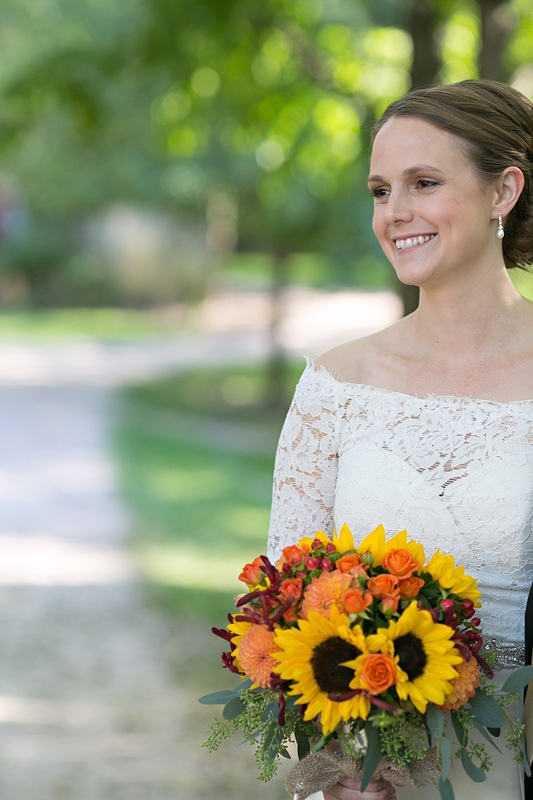 The florals included some of Fall's best; corally-pink dahlias, huge sunflowers (the bride's favorite), red hypericum berries, coral spray roses, eucalyptus greenery and a touch of burlap. The ceremony, officiated by the bride's brother, was held outside, beneath a canopy of trees. 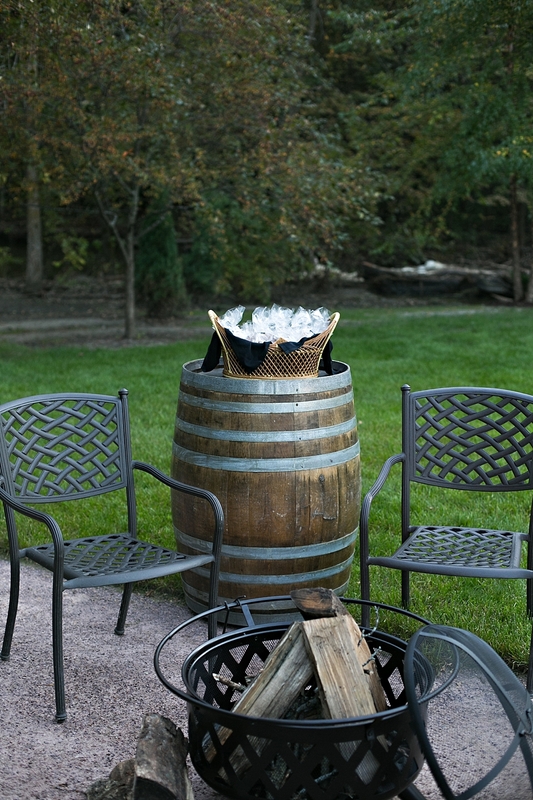 The rustic arbor was flanked by large wine barrels and beautiful tall fall floral arrangements. The tented reception kept guests protected from the elements, but they brought the outside in with the wood elements in the ceiling treatment and the centerpieces. The tree trunk discs at the base of each centerpiece anchored the design. 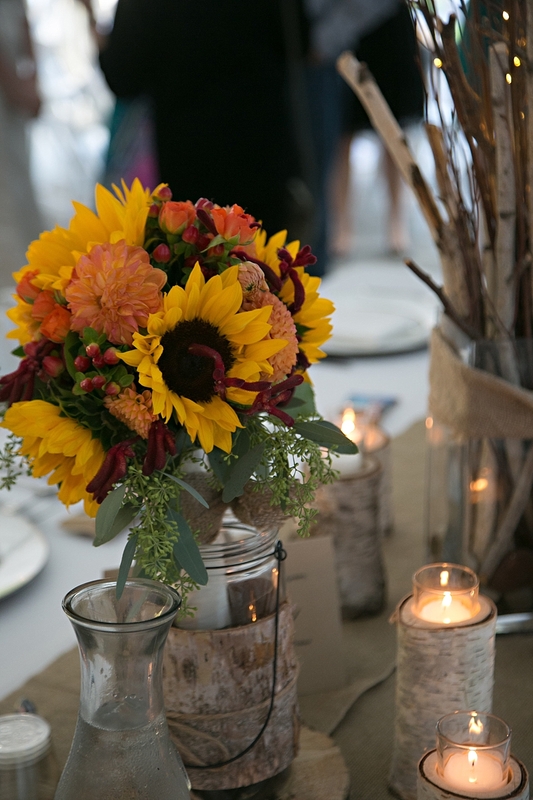 Tables alternated between florals in rustic vases, wooden lanterns and glass vases filled with a variety of branches. Guests (who all happened to be from out of town) were treated to a delicious meal and a nice, hearty dessert display. 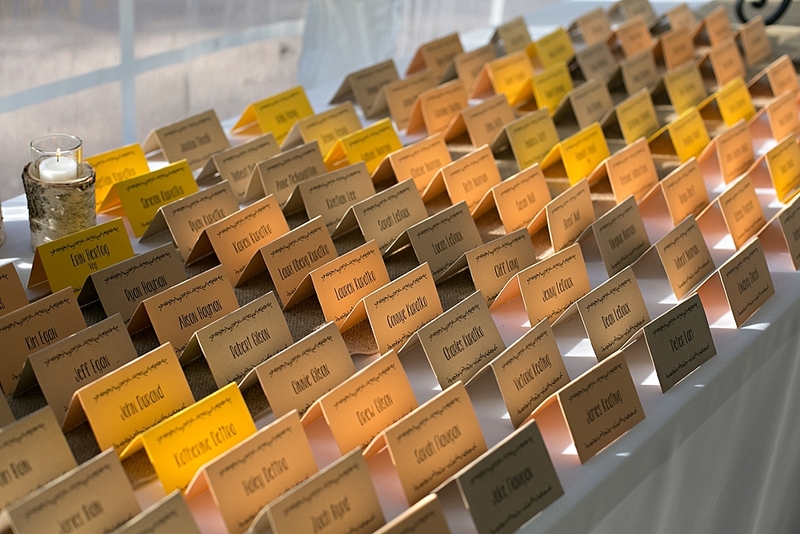 And each place setting included a Cliff bar as a favor- a favorite of the couple and just plain good! Ladies also had a beautiful scarf at their chair, while the men had wine stoppers (tying into the theme, of course). 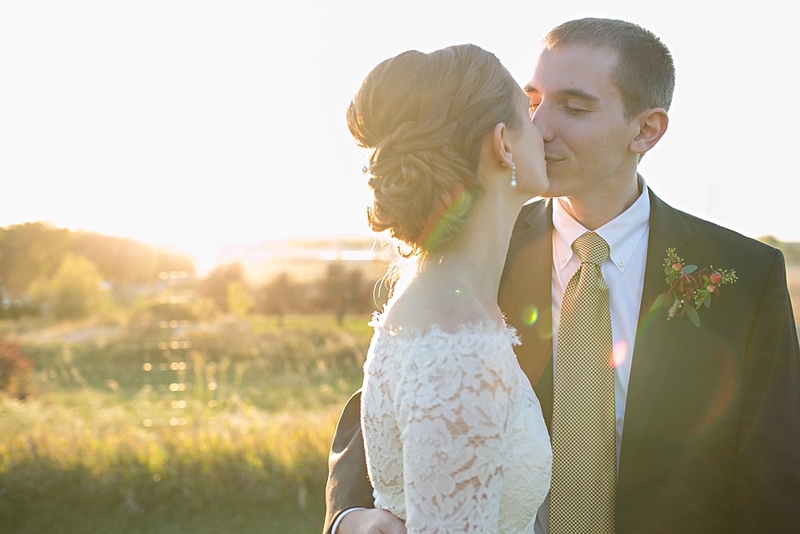 We love countryside weddings and are so grateful to have been part of Brian & Lara's day! They were so sweet and wonderful to work with!